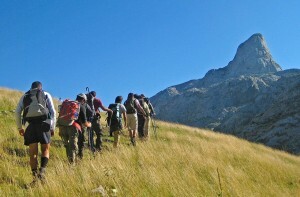 The Peaks of the Balkans Trail has been awarded the winner for outstanding Destination Stewardship in this year’s prestigious World Travel and Tourism Council´s (WTTC) Tourism for Tomorrow Awards. 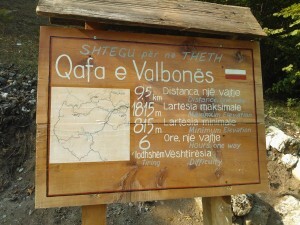 The ambitious project is a 192 kilometres of breathtakingly beautiful passage through Albania, Kosovo and Montenegro. 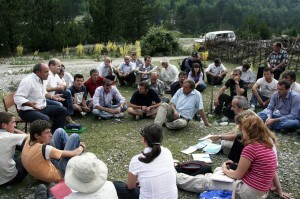 Virtyt Morina, Project Steering Group member and Head of Tourism in Peja Municipality, Kosovo said: “The Peaks of the Balkans project is exactly a story of forging peace and interdependence – just as President Clinton described. “Through a positive attitude and sheer hard work, the project celebrates the growing cooperation of 5.4 million people of Albania, Kosovo and Montenegro. We are so pleased to offer some of the least known and the most beautiful parts our three countries. What people gain from this is a genuinely authentic experience of our culture and nature. “Crossing three country borders, the Trail is a giant gesture of how sustainable tourism works in a very real way. The Trail opens up the world’s newest hiking experience crossing three country-protected National Parks. “We offer tourists the opportunity to experience rugged beauty, through different environments from gentle grasslands to challenging mountain climbing to the sheer gorgeousness of glacial lakes, and authentic old villages. “The project has given our local people a whole new range of opportunities to earn money, develop skills, have pride in sharing their special cultural practices with visitors who want active holidays, and a guarantee of utterly local experiences. “We are still learning and getting our tourism right. Creating sustainable practice is an ongoing journey for all of us in our three countries. “But one thing we know for sure is that working as a team, celebrating our part of the world, whilst protecting and sharing our culture and beautiful nature is a major commitment for us all,” said Virtyt Morina. Sokol Ukaj, Director for Economic Development in Peja, thanked all stakeholders and supporters, especially the German aid organisation GIZ, and WTTC, for helping to make the project become “a celebration of peace and of transformation for the people of the Balkans” a reality. 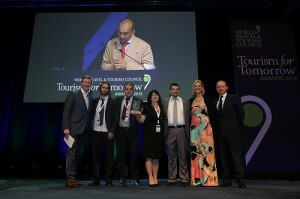 The four category winners in the 2013 WTTC Tourism for Tomorrow Awards have just been announced tonight at the WTTC’s Global Summit, being held in Abu Dhabi, UAE. Unbelievable this was only four years ago, by now it has become the most popular long distance trail in the Balkans and attracts even more hikers as the best established section of the Via Dinarica. Sustainable tourism development at its best!